airplanes, jellyfish, birthdays, & MIAMI. I am about 16 days late with this, but it is too good to let it slide under the rug. 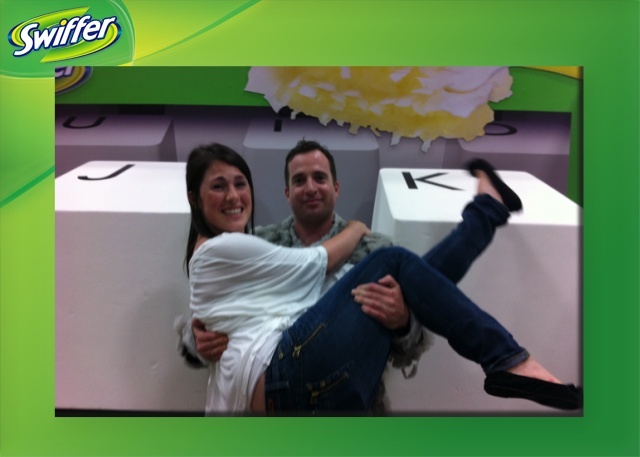 Thursday, August 25th, 2011: Jeff & I arrived at the airport. 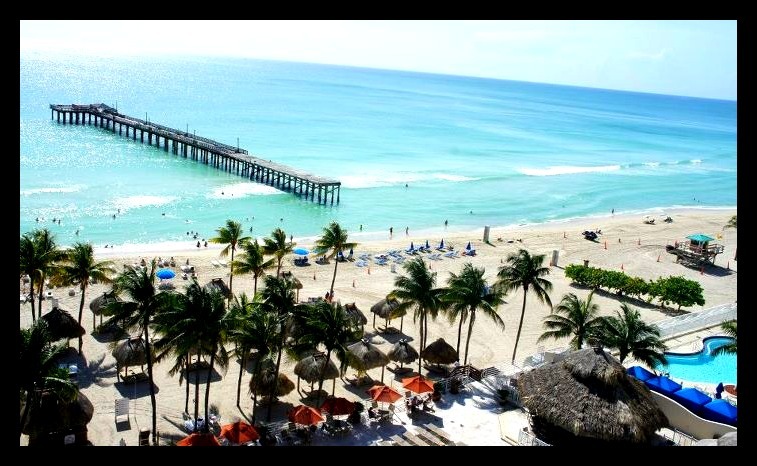 And after extensive delays [thank you hurricane Irene] .. we headed straight for MIAMI. I was a first timer. (& I am a little bit scared to go back). Let the days unfold ..
Friday, August 26th, 2011: Hurricane Irene headed straight for New York City? Oh good thing we left. And woke up in Miami to GORGEOUS weather. The most obvious thing to do on day 1 ..the beach! The water was crystal clear, which besides being pretty, was a BLESSING. Because although we escaped hurricane Irene in New York, she would send us many ‘pay backs‘ throughout our vacation. The first: JELLYFISH. The story goes ..Irene visited the Bahamas and kindly dropped off thousands of jellyfish in Miami on her way up the East coast. 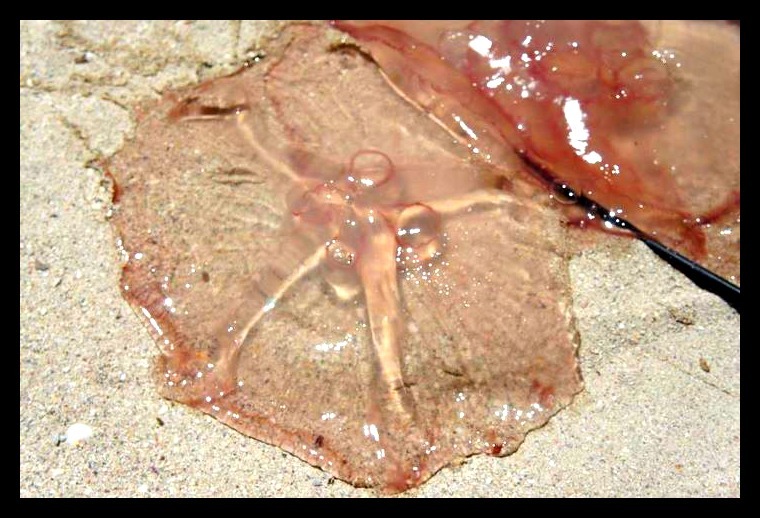 Jeff & I are 4 steps into the water when I spot a gigantic jellyfish. Oh they are pretty when they’re in an aquarium, but put it a foot from your leg and they are nothing but scary. All I could think about was getting stung and someone peeing on me to remedy the situation [nightmare]. Many beach-goers thoroughly enjoyed using their sand castle buckets & butterfly nets to rid the ocean of jellyfish. But it seemed that for every 1 they caught ..5 more would show up! Jeff & I easily agreed that the jellyfish-infested ocean wasn’t the smartest way to spend our day. Instead margaritas on the beach. [Much safer]. When I was pretty sure my fair, Irish skin was on the verge of turning a tomato-red color ..we moved onto dinner. We ate at Kitchen 305, where Jeff dined on all-you-can-eat king crab legs and I, well, just enjoyed the entertainment of trying to get the meat out of the shell. 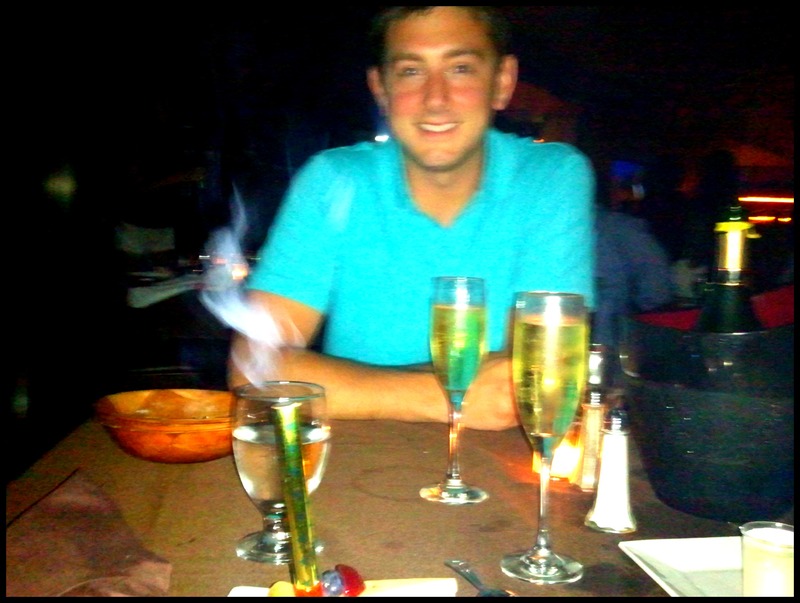 We also shared a bottle of champagne during dinner – because we were celebrating (like 21 year olds). I turned 24 at midnight. So the clock struck 11:59 and another champagne bottle arrived at our table w/ a sparkler strapped to the top, courtesy of Kitchen 305 [thank you again!!]. AND two rounds of “birthday cake” shots. Now I am not much older than 21, BUT the second you turn 22 ..you’re power to be invincible disappears [aka hangovers get much, much worse]. blurry picture OR the way I was actually seeing things – you pick. 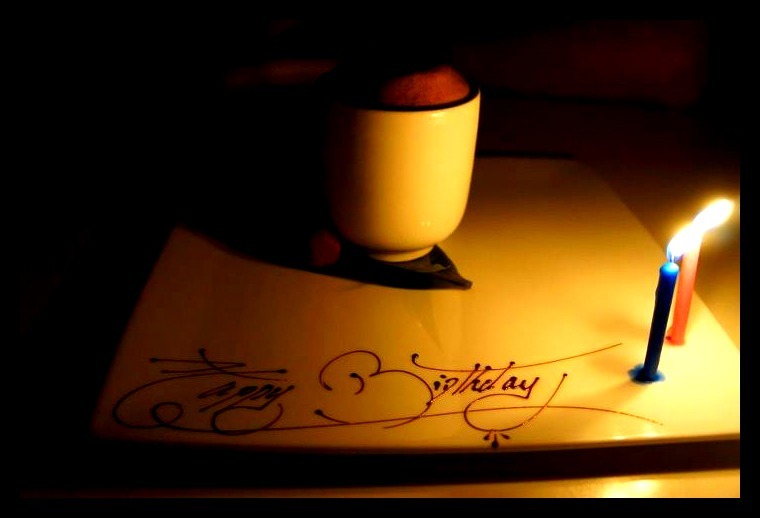 Saturday, August 27th, 2011 [my birthday]: When I woke up, I was pretty sure we had done enough ‘birthday celebrating’ until at least my 28th. 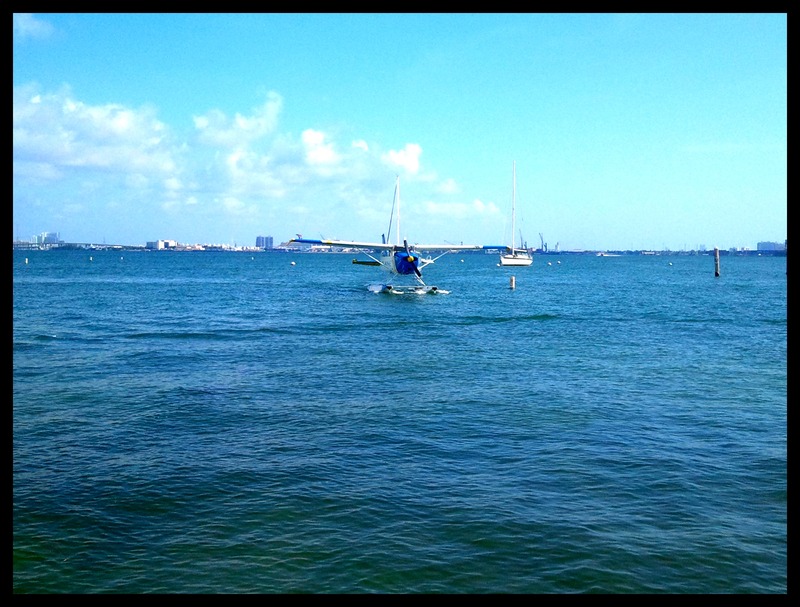 We decided to get in the car, drive down to South Beach, and explore. As soon as we parked, our number 1 priority was ..
Oh yeah – we were feeling great. 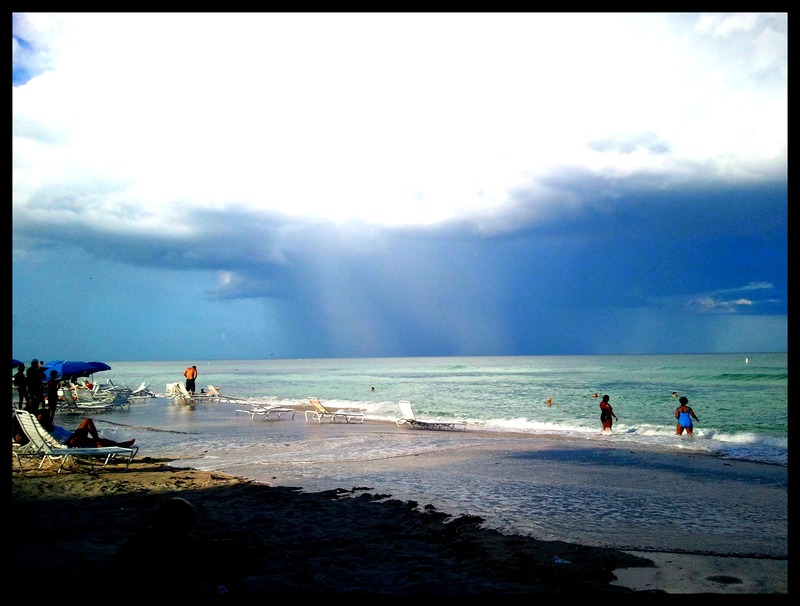 By the time we made it to the beach ..RAIN! 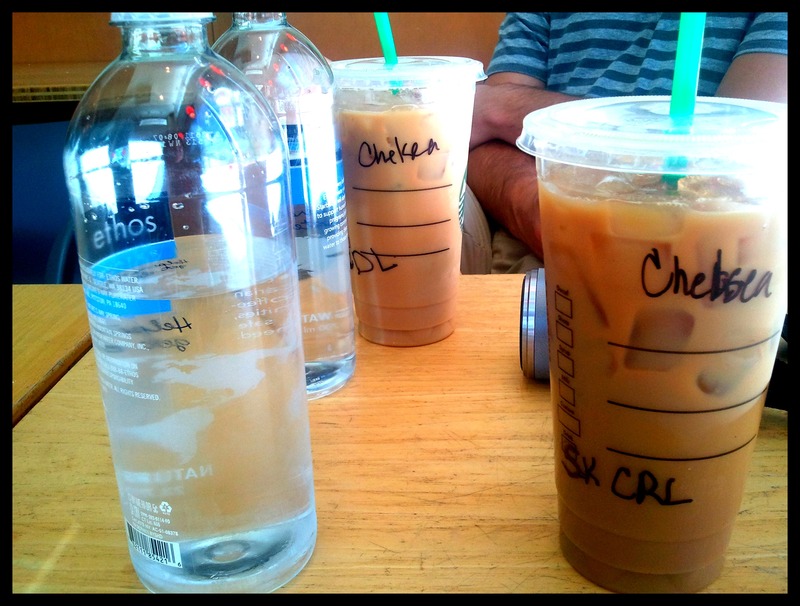 Which was the perfect excuse for us to enjoy Miami by car a bit more, do a little shopping, and get Starbucks [again]. Then dinner – at NOBU. Absolutely, fabulously delicious. After multiple shrimp tempura & spicy tuna rolls, black cod, and some spicy shrimp ..they brought us dessert. TWO birthday candles; 1 for me. 1 for Jeff. 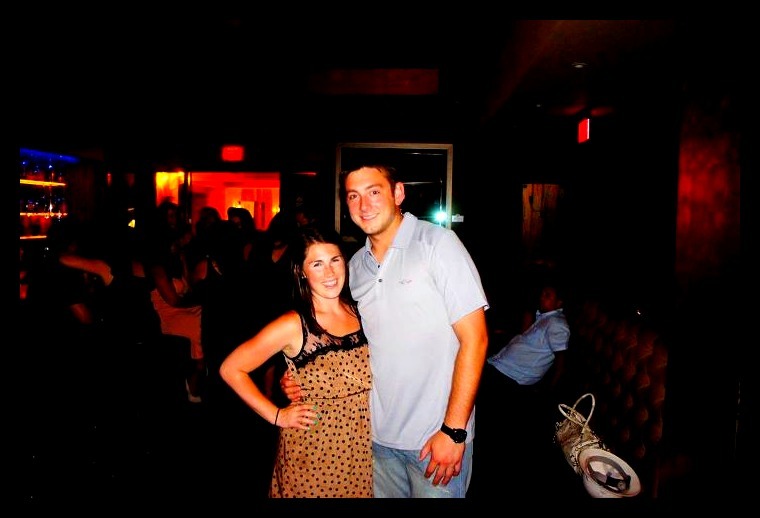 We then [although I was a bit nervous] headed to Kitchen 305 for another eventful night. Mere hours from midnight/Jeff’s birthday ..it was time for me & my birthday to move over and let Jeff have his fun. 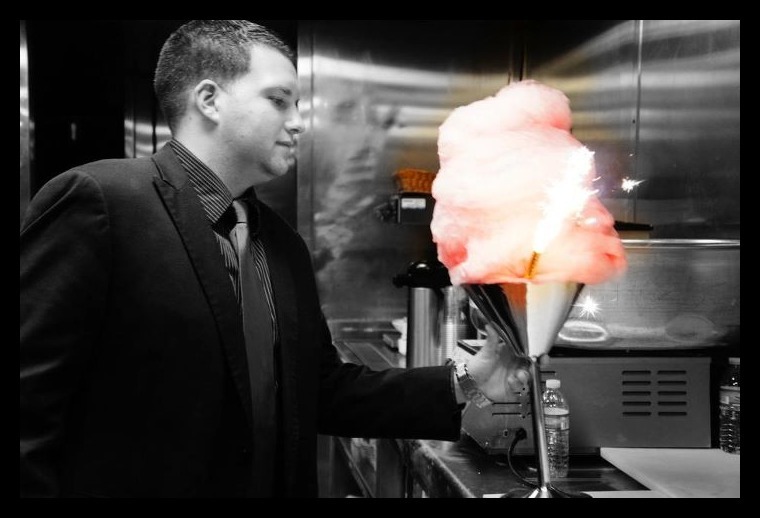 Which begun w/ Jon & I heading back into the kitchen and making Jeff a “birthday cake” ..
Like my champagne bottle, Jeff’s ‘cotton candy martini/cake’ was also fully-equipped with a fiery sparkler. 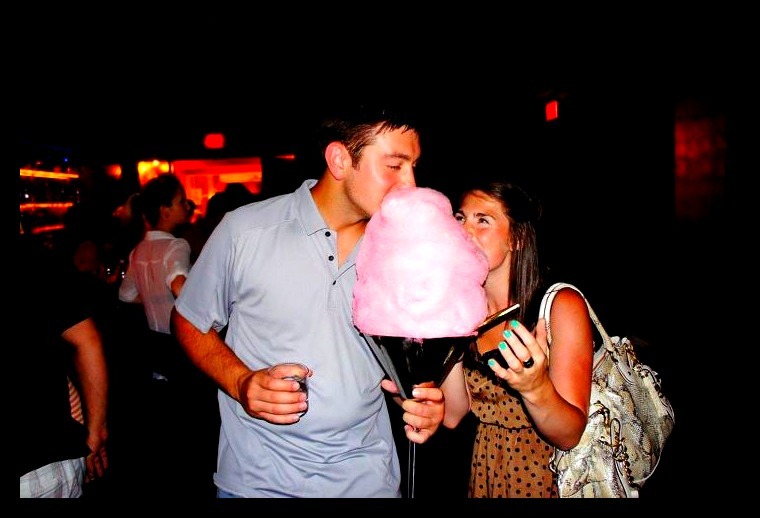 The cotton candy was enjoyed by all. And at midnight, Jeff welcomed his 26th birthday with a round of shots [I passed]. 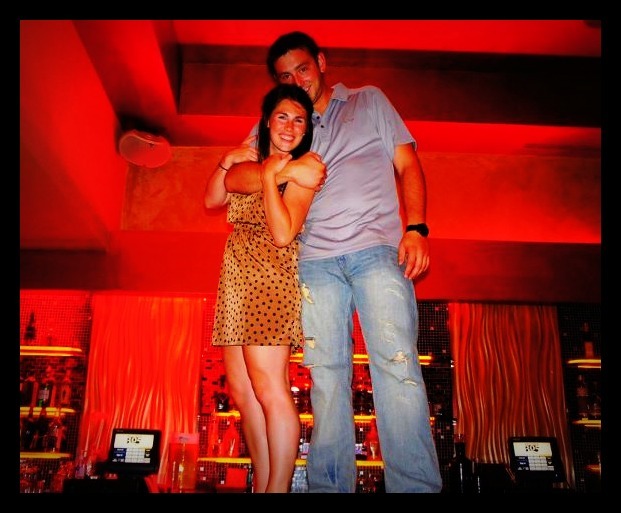 Let’s summarize our second night at Kitchen 305 with one photograph ..
oh yes – on top of the bar. Oh and ..on my birthday, JetBlue called .. our flight back to NYC scheduled for Monday, August 29th at 6:00AM was CANCELLED. Hurricane Irene ‘pay back’ #2. Sunday, August 28th, 2011 [Jeff’s birthday]: Unfortunately for Jeff & his birthday, we had no choice but to get up early & be productive. I HAD A SURPRISE PLANNED. 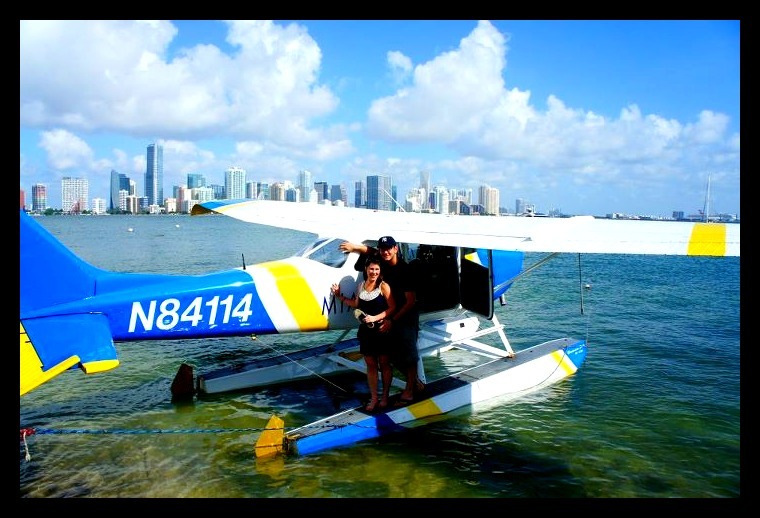 sea plane tour of Miami. After exchanging words of encouragement: do not vomit. [Hello hangovers, again]. We boarded the airplane. 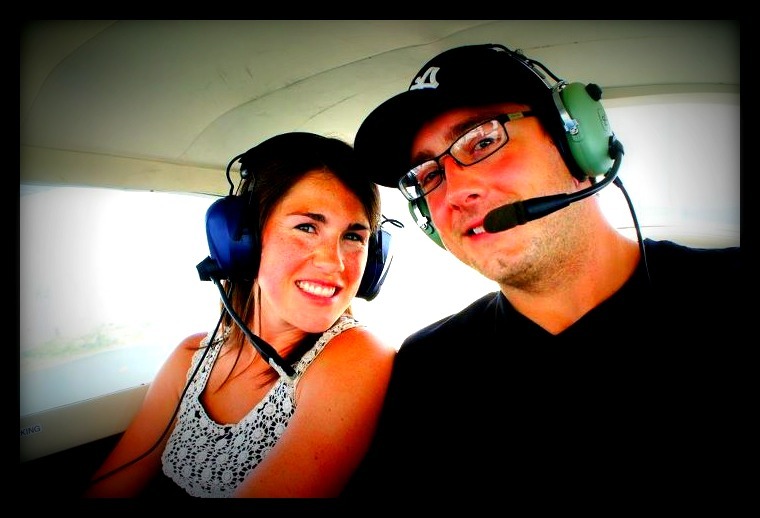 We had a blast – the views were gorgeous, we got to fly around a rainstorm, and we both successfully did NOT get sick. 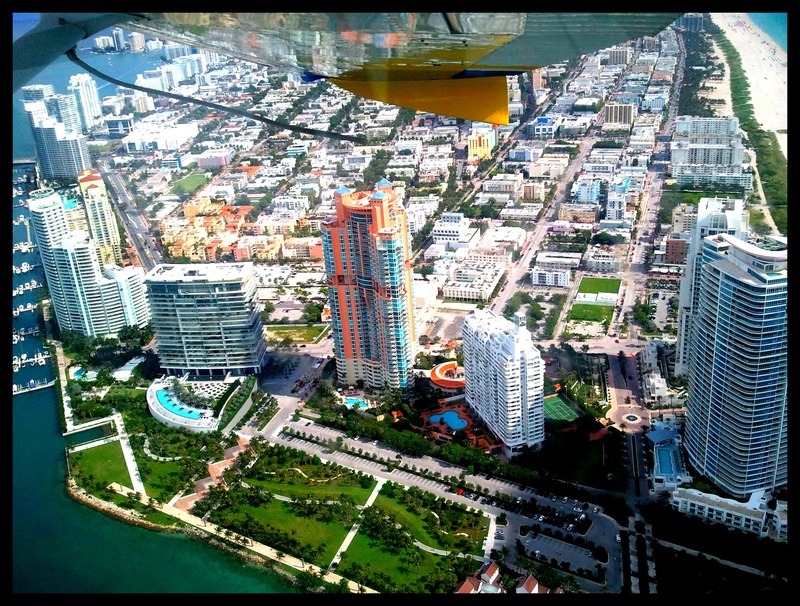 [Thank you Miami Sea Plane Tours!!]. For the future: I would recommend not being hungover when boarding a 4-person aircraft [bring on the turbulence]. We then took a NAP! And for dinner ..the Melting Pot. YUM! 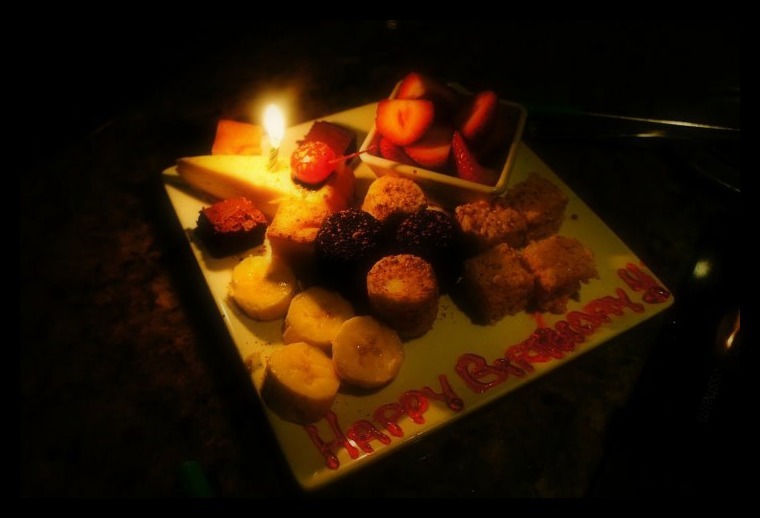 We ended our 3 hour dinner with a bananas foster chocolate fondue, that wished Jeff a ‘Happy Birthday’. [Yes – we went to Kitchen 305, again. I didn’t drink, unless you count straight WATER]. Monday, August 29th, 2011 [the day of our ‘supposed’ to be departure]: The second we woke up, we called JetBlue (for the second time over the course of the weekend). Hurricane Irene had come & gone in NYC ..and we were hopeful out of the 3 NYC airports one would let us fly in. HAHA – NOT! After 45 minutes of waiting & listening to the “on hold” music ..we discovered the first flight from Miami to NYC was on Friday night (4 days away) OR we could drive to Orlando and catch a flight to NYC on Thursday night (3 days away). 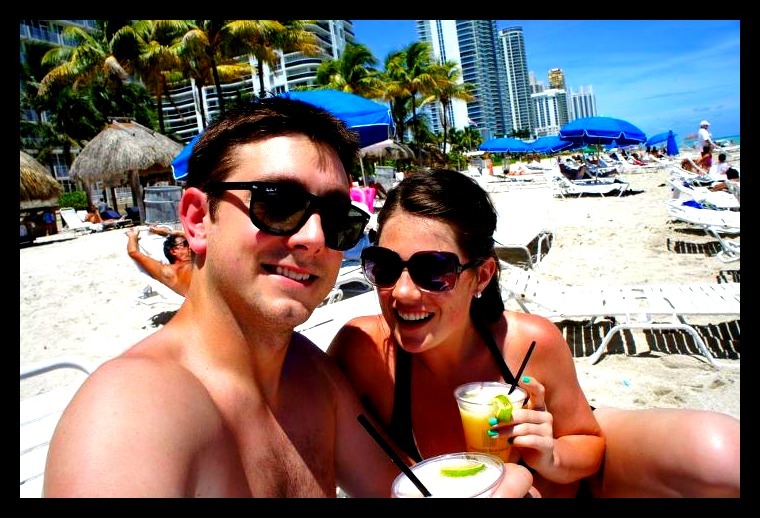 HEY – I love vacations, but c’mon Jeff & I have jobs ..we can’t just disappear for weeks [aka I cannot handle Miami & their drinking tendencies: GET ME OUT OF HERE!!]. We’re stranded in Miami, and .. 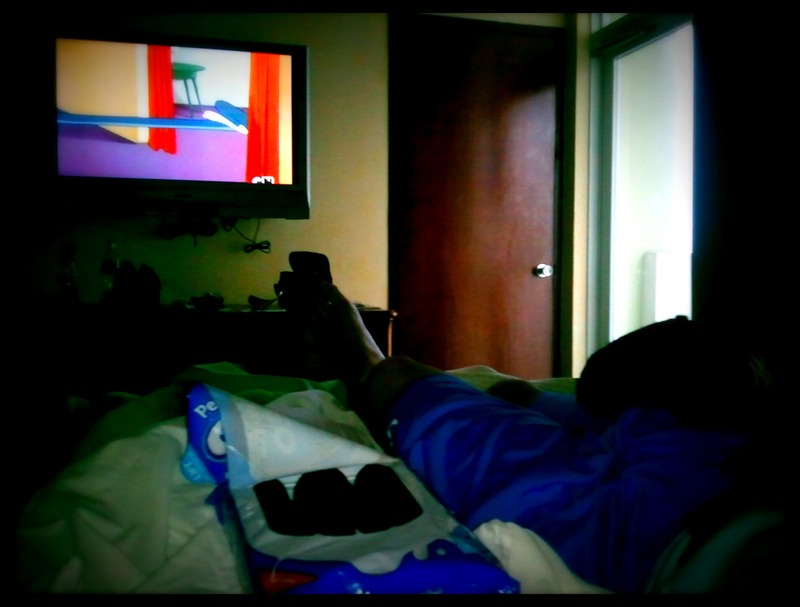 So, what do we do ..
Lay in our hotel room – eating Oreos & watching cartoons. Until approximately 2:15PM, when we decided our best option of getting home was to ..ROAD TRIP! Hurricane Irene pay back numero tres: twenty-four hours of driving. We packed, loaded up the rental car, and started our journey. Thankfully for Jeff he had me to keep him up & entertained through Florida, Georgia, South Carolina, North Carolina [where I finally convinced him to stop at a hotel so we could sleep FOUR hours before finishing our drive], Virgina, Maryland, Delaware, and finally New Jersey! 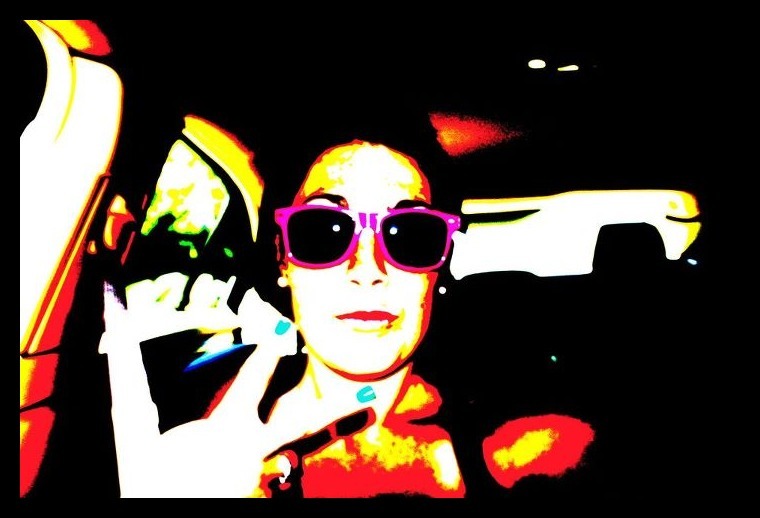 Jeff’s entertainment: “DJ Chelsea Chels mixin’ beats in the passenger seat”. This is not a joke – 24 hours in a car will make you a little crazy. The upside of our 8 state journey home was easily the quality time we got to spend together – NOT. (It was nice, yes). But I think Jeff & I would both agree the upside was, 1) my amazing DJ skills and 2) stopping at all of the places we’ve been deprived of since moving to New York City. Friends, please do not take your blizzards for granted. That cookie dough blizzard was the first I’ve had in a year +. 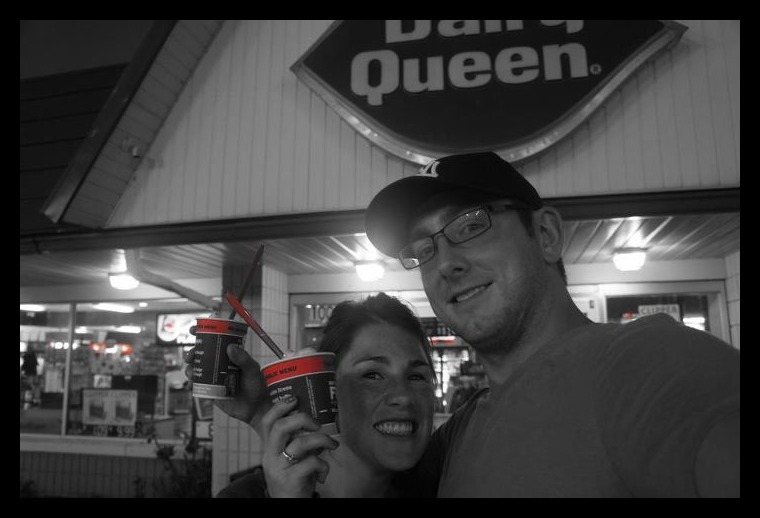 [Also, thank you Dairy Queen for supplying Jeff & I with a “Q” in many rounds of our “highway alphabet game”]. 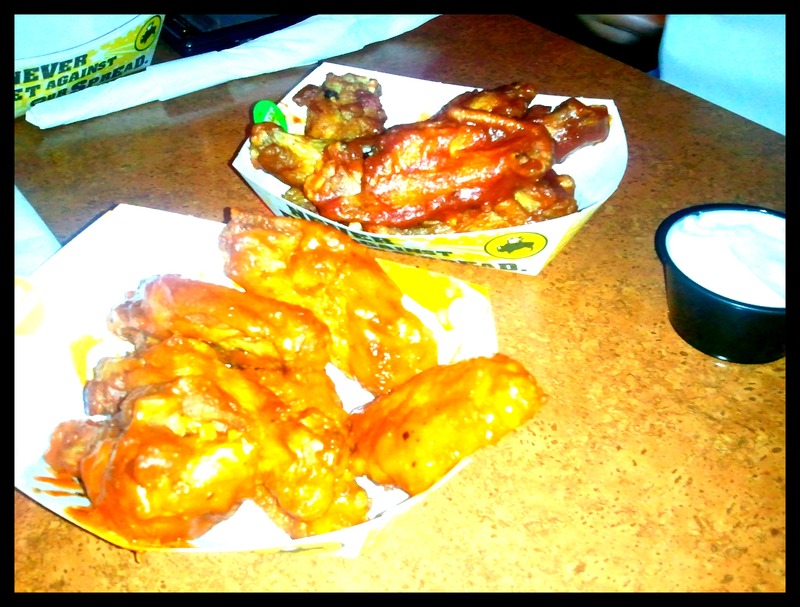 NUMBER TWO – BUFFALO WILD WINGS. (our lunch/dinner stop in Baltimore, MD). fly me to san diego, and make me work. On August 4th, I hopped on a flight from New York to sunny San Diego. I must say even though it was a work trip ..it was really nice to escape the concrete jungle for a few days. 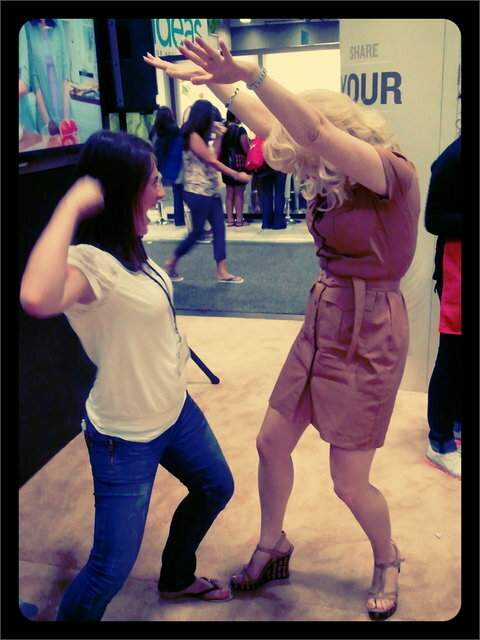 The conference – BlogHer ’11. The name speaks directly to what the conference is – women bloggers ..over 3,000. Let’s just say, I didn’t hate being stuck in the convention center for 12+ hours a day, x3. I could be found .. 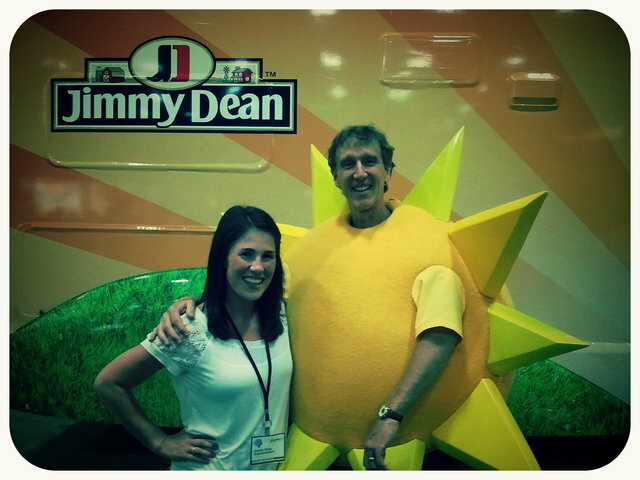 But in addition to working really hard.. there was a lot of fun to be had & several “celebrity” encounters @ BlogHer ’11. Giuliana Rancic – E! news host. 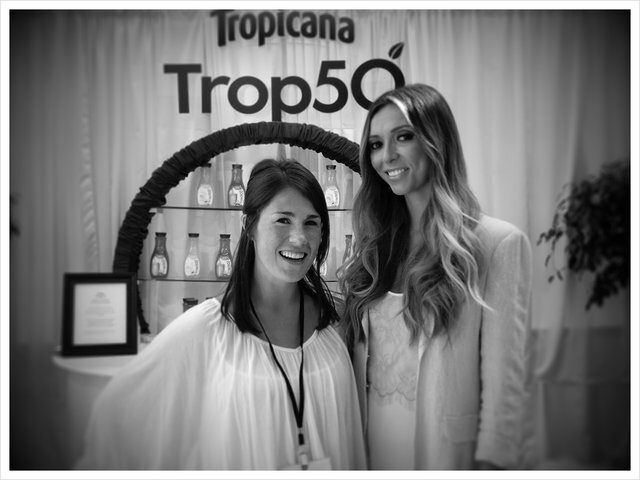 Ok – don’t get me wrong, I was ecstatic to meet Giuliana. She’s beautiful, gets to stand next to Ryan Seacrest, and every time I watch her show, “Giuliana & Bill” I get teary eyed. BUT the celebrity encounters improve from here (at least according to me). 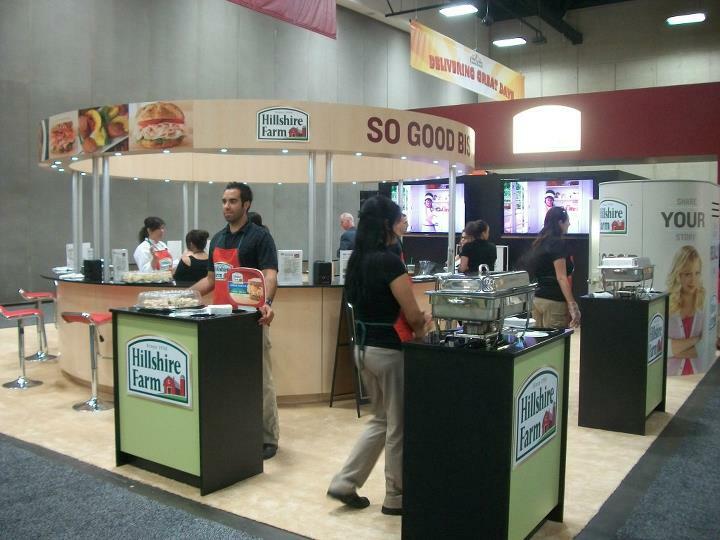 The star of the new Hillshire Farm commercials is Wendi McLendon-Covey (best known for her recent role as Rita in Bridesmaids and in Reno 911). up in the air I go – holding on for dear life. 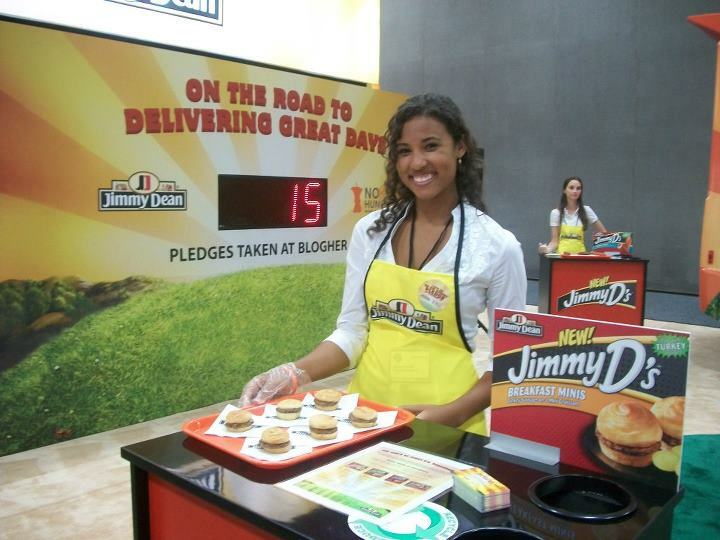 There were so many amazing companies represented at BlogHer ..with fun booths & GREAT GIVEAWAYS. 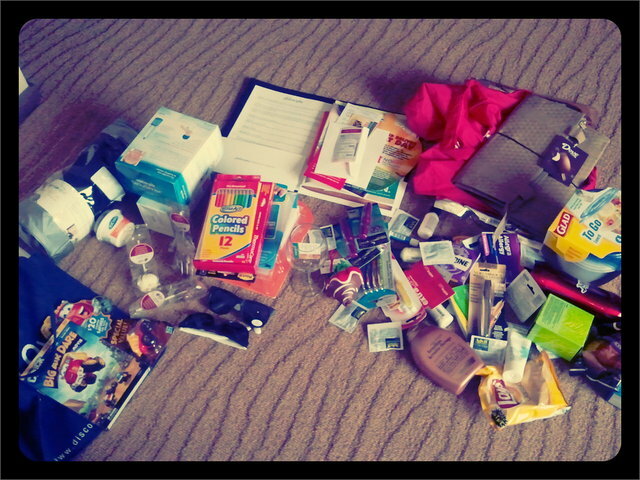 Just ask my suitcase & Jeff how much I acquired while I was in San Diego for 3 days!